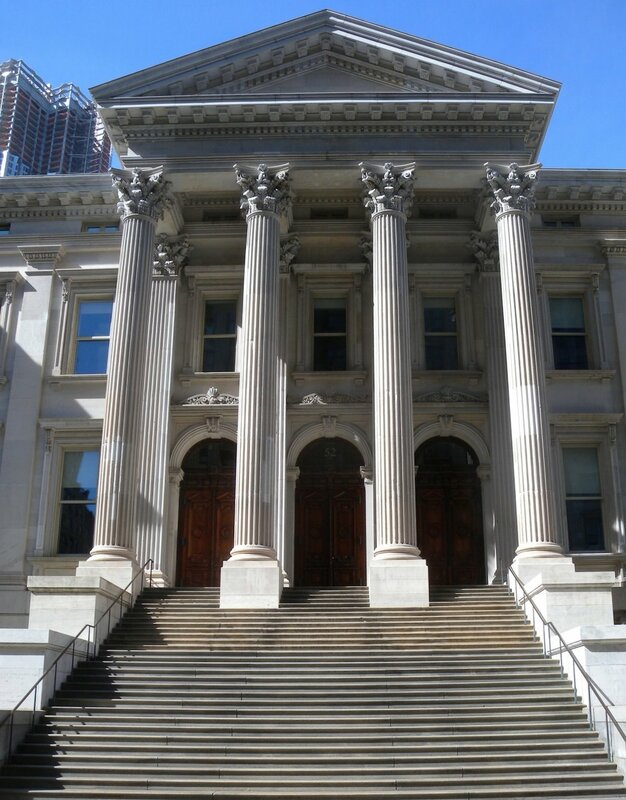 On Thursday, March 15, 2018, 8 parents of twice-exceptional (2e) students attended the CCSE meeting at Tweed Courthouse. I was among the 8. Some of us had never met each other face to face. * We were excited to be there and support the parents who planned in advance to say a few words about the plight of 2e students in the New York City school system. The guest speaker of the meeting was Raymond Orlando, Chief Financial Officer, Division of Finance at the NYC Department of Education. I missed a lot of this talk because I arrived late. However, it was my impression that attendees found learning about SAMs to be very interesting. The chair of the CCSE, Ellen McHugh invited the parents of twice-exceptional group to ask questions to Mr. Orlando. Here is a transcription that is NOT professionally completed. I do not certify this or anything that causes enough trouble to make me have to take this down. I have noted uncertainty with "?" and sometimes I will say why I think the verbage is unclear ie. two people were talking at the same time. Parent 1: Oh, but like really quickly, to sum up what you said, you said that if students are having trouble, they shouldn’t feel alone, if students are having trouble, where should they call? Christina Foti: Sure. No parent or student should ever feel alone. If you ever feel alone, you know.. Our hope is that you are able to resolve things at the school level. This is de-escalation. Christina Foti: If you cannot resolve things at the school level, then we ask that you certainly reach out to your superintendent. Parent 1: Reach out to your superintendent- that’s step number 1, after going to the school, correct? Christina Foti: Yeah, and if you’ve had a conversation with your principal? (someone coughed) Sometimes parents are worried about the relationship that they developed with their teacher and they’re worried about that next step you and they also recognize that contacting a superintendent after you’ve spoken to a principal is also a scary step. Nonetheless, people, you know educators want to serve families, right? And serve students and so if you ever feel like you are encountering roadblocks along the way, the special education inbox, it’s specialeducation@schools.nyc.gov is an inbox monitored by my office. Parent 1: Your name is… I’m sorry..
Christina Foti: Christina Foti. And what we do is we get back to every parent within 24 - 48 hours just to say we have it and we are looking into this. We resolve those issues as soon as possible, the way that we resolve them is we work with the Field Support Center and the Superintendent and the school itself to resolve issues that are unresolvable. If it’s a larger policy issue, we work with advocates and advocacy organizations to really determine what citywide policies are going to work with that and we look to the CCSE to be partners in that process and we take what we get from meetings like this and really use them to help make shifts citywide. Noah Gotbaum, CCSE Member: How would you suggest, there is clearly a group of (inaudible because two people are talking at once) there is clearly a desire for a program ..
Ellen McHugh, CCSE Chair: (Inaudible because two people are talking at once) Are we finished with budget questions ladies and gentlemen? Ellen McHugh: Can I ask you to separate out your question– It’s a budget question? Parent 2: Yeah it kind of is a budget question. Where is that sort of SAM, I guess for the special need which we all kind of see in our children where they need all their support they need in an IEP setting. It’s like amazing - like they get the behavior stuff that he’s going through but he’s a little, I’m not saying he’s on his own, I mean he’s got us and stuff but he’s on his own from an academic perspective. He can do this stuff that is put in front of him but it’s not getting a lot more, right? It’s like the mirror of that. They both work. Christina Foti: I hear your questions. I think our process is about inviting this type of feedback from parents, from the community, we are open to a policy conversation around this very topic that both of you are bringing up and would be happy to do that. I think let’s work with the CCSE to set that up if that’s something that the CCSE agrees to, but we’d be happy to have a larger conversation. If you have specific individual issues and I appreciate the sharing of your stories but if you have specific issues that need attention now, Lauren and I are here from the Special Education Office and we’d be happy to take your information. Ellen McHugh: Is there any other specific budget questions? Parent 1: Yes, specific budget absolutely. If there is a student who, ICT services are usually given to students in grades 6-12 for core classes only, but if a student requires ICT services for non-core classes, is that a budget issue? Christina Foti: If a student requires ICT services for non-core classes and (somewhat inaudible chatter ensued here).. on the IEP then the budget follows the IEP. You know from Ray’s perspective, the budget follows whatever is on the IEP. Parent 1: So it’s not a budget issue. Christina Foti: It’s not a budget issue. Ellen McHugh: Any more for budget? One more here. Parent 3: Who decides when you have enough kids for certain classes so a principal might say we don’t have enough for an ICT class. What does that mean? I feel like there’s a really slippery slope. Christina Foti: Our hope is that a principal would do that in conjunction with enrollment, then his ___ Field Support Center to see um when we open specialized programs for example we have heat maps that we do and an example of a specialized program is an ASD program, the ASD Nest program so we look at heat maps on the application progress from the Special Education officers’ perspective that we open up based on need but from a school’s perspective though, in terms of making school based decisions. Our hope is that they be working with enrollment, and field support center and the superintendent to make decisions about what programs to offer. Ellen McHugh: Correct me if I’m wrong but state guidance says up to 40% doesn’t it must be forty percent so in theory you can have 39%. Ellen McHugh: So it’s up to 40%. It doesn’t have to be 40%. Christina Foti: And if there are plaguing issues that you have at your school you’d like to us to take into, we would do that in partnership with the school. It would not be… it would only be in the service of exploring what is possible. We would be happy to take that partnership on. Soon after those questions were answered, the meeting opened to questions from attendees and that is when a couple of us spoke up. I recorded as much as I could and another parent took over recording when I went up to speak. Here is the video below. *I'm not including names here, but I will include them if I get permission later on. If you are a parent of 2e kids in the NYC area, you can join us to hear updates on the movement to find more appropriate education for 2e kids. Here's our group page or just use the box below.